The Mill of Haute-Provence obtains a pure fruit juice from olives of the Tanche variety and by mechanical processes. The olive oil of Nyons of the mill is a 1st pressure extracted under cold conditions. In his mill, Michel Fayant perpetuates the ancestral know-how of the millers of the Baronnies and Nyonsais. 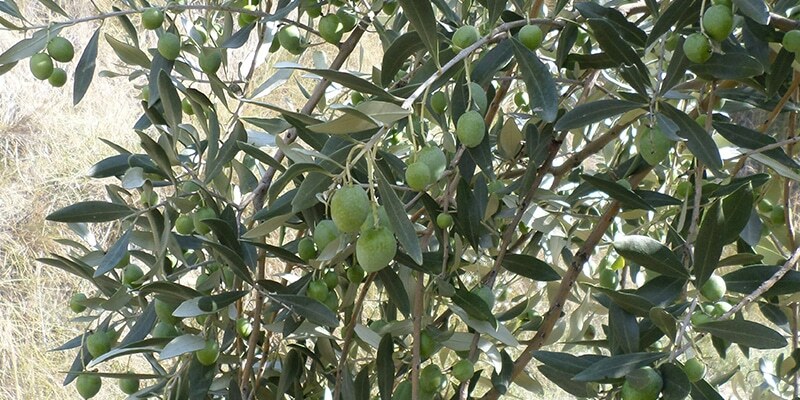 As soon as olives are harvested, they are sent in the Mill of Haute-Provence for crushing. When they arrive at the mill, the olives are washed. Once the leaves and other residues have been removed, they are crushed with a metal disc mill until a dough is obtained. The dough mixing operation can begin. It is followed by a centrifugation phase which consists in removing the olive oil from the dough. Finally, the oil is purified by a second centrifugation. The PDO standards for extra virgin Nyons olive oil are scrupulously respected as part of this process. All the properties and aromas of olive oil are preserved. The olive oil virgin extra Nyons AOP of the Mill of Haute-Provence is extracted under cold conditions by mechanical process to preserve all contents in polyphenols, antioxidants, omegas and vitamins. THE AOP Nyons guarantees the origin, the typicality of a unique only country soil and an authentic know-how. 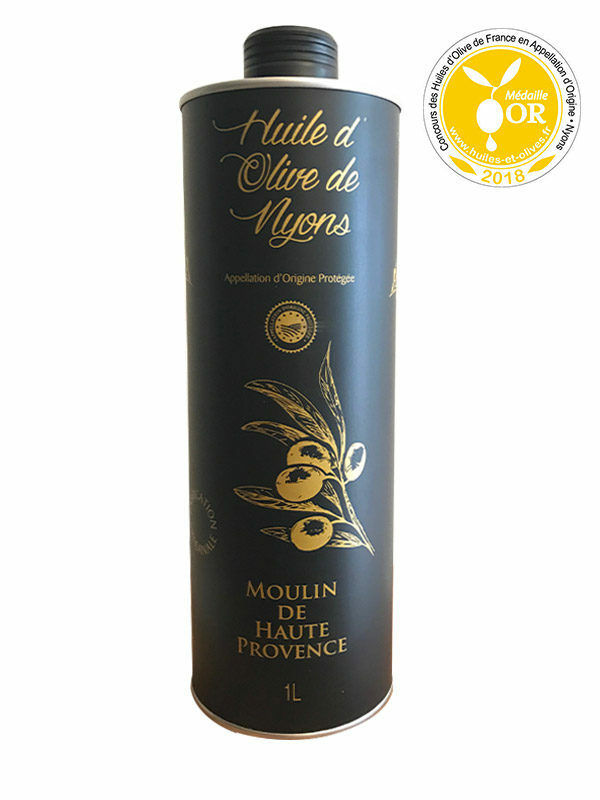 Nyons PDO olive oil from Moulin de Haute Provence is a pure fruit juice characterized by a ripe fruity with a subtle taste. Ripe fruity is quite rare and offers the advantage of a very diversified use in cooking. The oil is smooth and soft. It is marked by a taste of fresh butter in the mouth. Finely fruity, it offers aromas of green apple and dried fruit (hazelnut and almond). The olives of variety Tanche are exclusively picked on the country of the AOP Nyons, on the verge of Provence, of valley of the Rhône and Pre-Alps. The extraction of the extra virgin olive oil and its packaging are completely made in the Mill of Haute-Provence – Buis Baronies (France). Michel Fayant was born in Baronnies Provençales. From a previous family of farmers, Michel is very attached to his roots. With his father, he cultivates his orchards of olive trees of Nyons and apricots. In 2004, he becomes the owner of the Mill of Haute-Provence in Buis-Les-Baronnies. 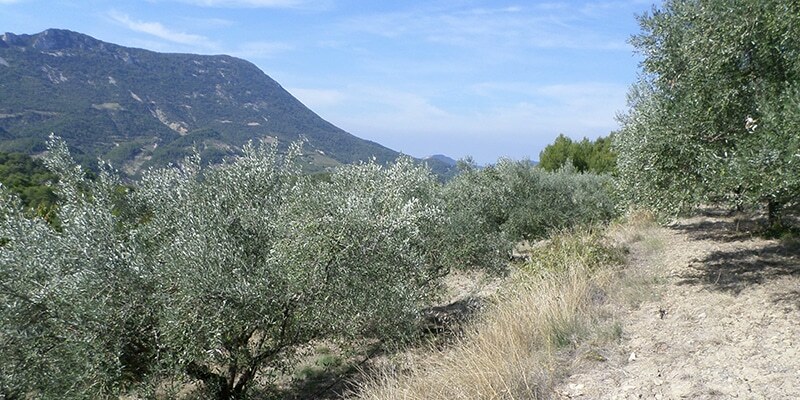 Uncompromised mill on the quality, the olive oil of Nyons of the Mill of Haute-Provence will be the first French olive oil to obtain the naming PDO. Today, this olive oil of Nyons PDO is one of the best olive oil to the world. This reputation is the result of a long tradition and a perseverance of the men and the women of Baronies and Nyonsais. For 2000 years, the olive tree of Nyons was the object of a patient selection to obtain an olive unique in the world : The Tanche. 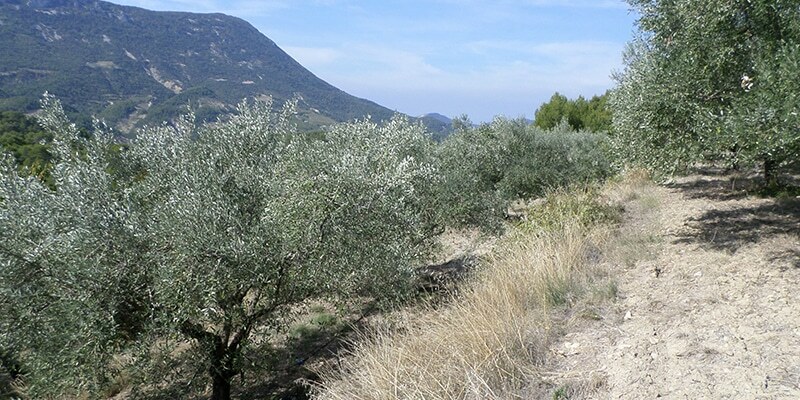 This variety, specific to Nyons olive oil, is adapted to the North of Provence and its sunny landscapes subjected to the first frosts of winter. Nyons’ olive oil is obtained by the Tanche, a variety which is unique in the world. The Tanche, also called Nyons olive is a fleshy black olive and particularly tasty and wrinkled when winter is coming. Nyons olive is characterized by an abundant and creamy pulp. It is harvested at advanced maturity from December to January to reveal its emblematic typicity. 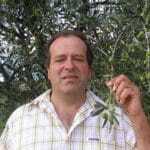 The plantation of the Nyons olive tree is delicate in others olive-growing areas because this olive tree is sensitive to wind and humidity. The olive oil of Nyons is a single variety. Extracted with exclusively the variety Tanche, this oil is particularly typified. The olive oil of Nyons AOP is very appreciated by the cooks and the gastronomes. Nyons olive oil is the first olive oil in France. Pure fruit juice, Nyons PDO olive oil from the Moulin de Haute Provence is particularly sweet, buttered in the mouth and finely fruity. It offers aromas of green apple and dried fruit (hazelnut and almond). 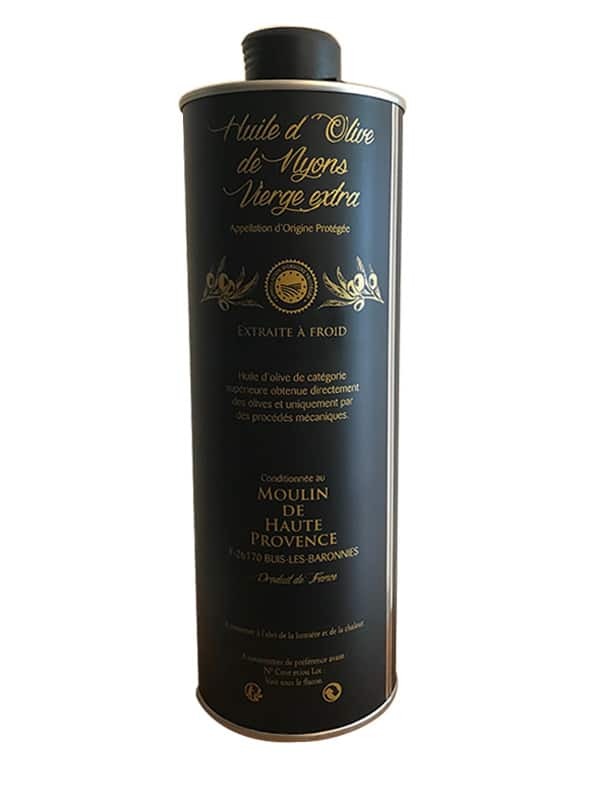 The smoothness and finesse of the Nyons de Moulin de Haute Provence olive oil can be explained by the unique use of the Tanche, a variety of olive harvested at full maturity and harvested in winter. 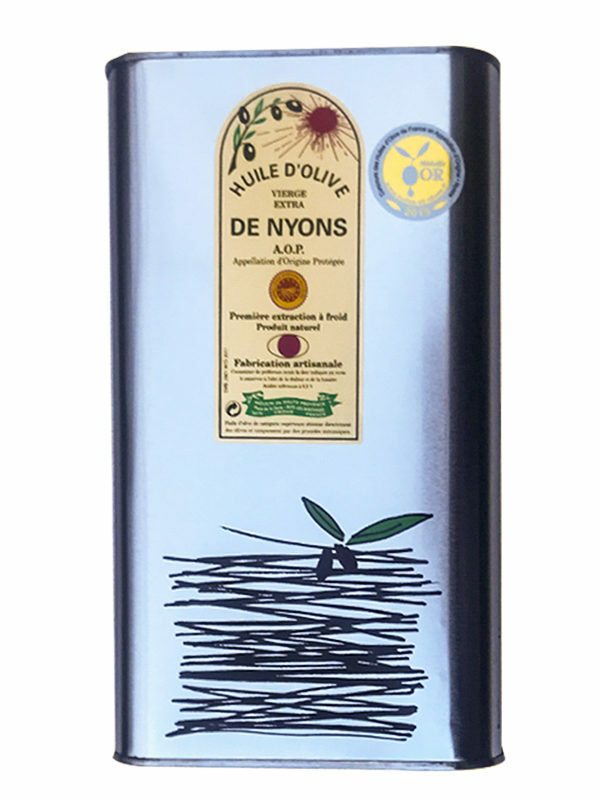 The olive oil of Nyons AOP of the Mill of Haute-Provence has subtle and gourmet aromas that allow wide uses in cooking.It also encourages the expression of a creative Provençal and Mediterranean cuisine because its ripe fruitiness is rare and renowned. Find the position of the producer who joins the Compagnie de l’Huile d’Olive.